MIT Technology Review: Qualcomm is working on Glance camera module that combines image sensor and a low-power processor that runs computer-vision algorithms. On a smartphone, Glance could make new security features practical, says Jeff Henckels, Qualcomm’s director of product management and business development. He says that manufacturers are interested in using iris scans to identify people and unlock phones—but a device’s camera can’t be constantly active without draining the battery. A Glance sensor consumes about 2mW of power, as opposed to hundreds of milliwatts for a typical smartphone camera module. Its resolution of 320 x 240 pixels isn’t high enough to handle tasks like facial recognition or to map the image of an individual’s iris, but it can recognize when a person is facing a phone’s screen and then activate the device’s front-facing camera to scan his or her iris. GlobeNewsWire: In line with its new focus on computer vision applications, Himax announces the UltraSenseIR HM1062 HD sensor delivering 44% NIR QE for a wide range of eye-safe, computer vision applications for compact devices such as front facing cameras for smartphones, notebooks, wearable devices, drones and other embedded devices. The company does not specify the wavelength at which the high QE has been measured. The HM1062 operates up to 60 fps in 720p HD resolution, and up to 120 fps in binning or sub-sampling mode over MIPI CSI2. The HM1062 is currently sampling and scheduled for mass production by the second quarter of 2017. Teledyne and e2v jointly announce the successful completion of the acquisition by Teledyne of e2v. The aggregate value for the transaction was approximately £627M (or approximately $789M) taking into account e2v stock options and net debt as of September 2016. For the year ended March 31, 2016, e2v had sales of approximately £236M. Excluding transaction-related expenses, Teledyne management expects the transaction to be accretive to earnings per share. Nikkei: Panasonic prepares a restructuring plan to improve its financial performance. As a part of the plan, Panasonic contemplates selling its share in TowerJazz-Panasonic JV: "In the chip business, the company is weighing unloading shares in a joint venture with an Israeli enterprise." It came to my attention that CRC Press released "High Performance CMOS Range Imaging: Device Technology and Systems Considerations" by Andreas Suss in 2016. The book appears to be a version of Andreas Suss 2014 PhD Thesis, freely available on Duisburg University site. AutomotiveNews: Magna VP Joel Gibson said the total market value for camera-based driver assistance systems is “growing very quickly” and he expects it to be worth about $10b per year by 2020. “It’s a very large growth area for Magna,” he said. Magna expects its car camera business to grow to $1B from the current $450M per year. On another automotive news, AutoSens publishes a tutorial "What is LiDAR and why is it so important to driverless cars?" explaining the LiDAR basics and its strengths and weaknesses. In yet another automotive news, NYTimes reports a use case for an in-car camera: "In France, Valeo, another supplier of automotive technology, is developing an infrared camera system that will monitor children in the rear seat as well as the driver’s shoulder, neck and head movements, looking for deviations from the norm. Checking body temperature and even how the driver is dressed, the system will also be able to customize the interior temperature for each driver, said Guillaume Devauchelle, the company’s innovation director." "STM adds SPADs to its CIS foundry business in addition to its advanced CIS processes and pixels. STM is now enriching its CIS foundry offer with access to its 130nm CMOS SPAD technology. The fully industrialized SPAD pixel and associated IPs, shipped in more than 250 Million of STM’s FlightSenseTM technology based products, is now available to STM customers under a foundry business model. Customers can now benefit from more than 10 years of R&D, as well as a proven, reliable, high volume capable supply chain. Regular MPW shuttles are planned, starting in Sept 2017." Digitimes: Taiwan-based Coasia Microelectronics and Sunnic Technology & Merchandise, report 17.7% and 18% YoY sales growth, according to industry sources. Coasia distributes CMOS sensors mainly for Samsung, while Sunnic sells Sony's CMOS sensors. The growth in demand in 2017 has been attributed to a growing number of new smartphones including entry-level and mid-range models that will feature a dual-lens setup, said Digitimes sources. "Yole’s educated guess is that ST is bringing a brand new 3D (array) imager to Apple iPhone 8 — an innovation that will alter the phone’s user interface. Here’s a fact: As many as 10 Apple engineers have been working on imaging in Grenoble over the last few years. Their presence is open knowledge among locals, according to Cambou. The local newspaper reported last summer that Apple signed a lease with the city of Grenoble to open a research and development center there. The 800-square-meter facility will reportedly focus on imaging components and employ about thirty engineers. "The RK1608 utilizes the CEVA-XM4 DSP core to perform frame-based processing, rather than line-based as in ISP. Because it is specifically designed for image processing, it can perform much faster than a standard AP. It includes features like multi frame de-noise, zig-zag HDR for preview and capture, HDR processing of multi-exposed image, depth map generation, super resolution and pseudo optical zoom. The vision coprocessor’s function is not dependent on the ISP, so it can be adapted to any platform. 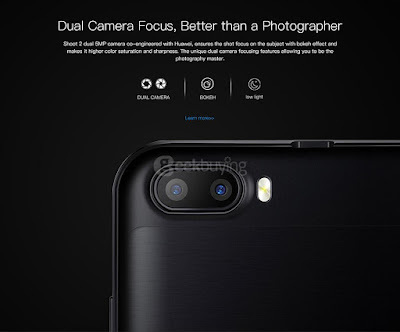 One phone already available on the market that uses the RK1608 for enhanced photography, is the ASUS ZenFone 3 Zoom smartphone, launched earlier this year at CES 2017. If there was ever a phone that truly threatened DSLRs, this is it. 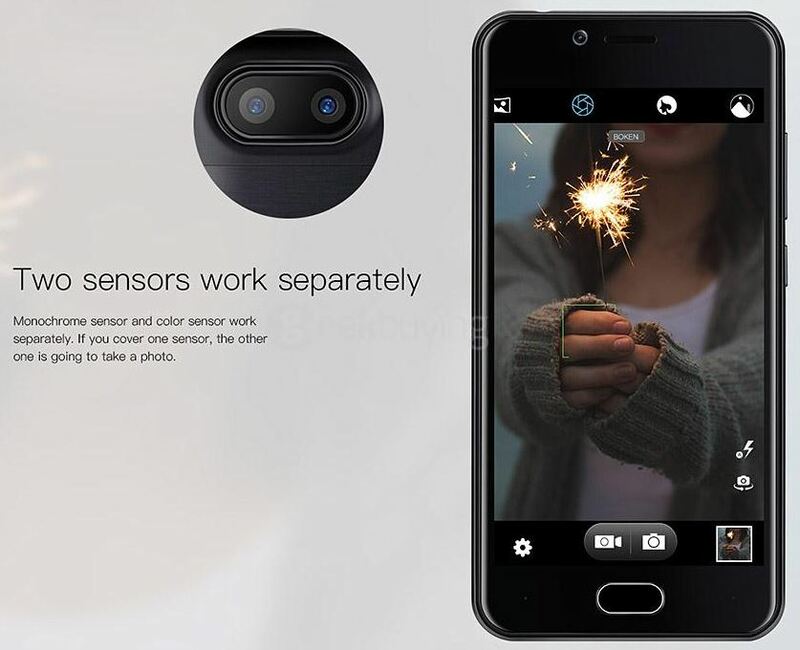 This device was designed to be a camera just as much as it was designed to be a phone. The aperture, pixel size and sensor are among the largest in the industry at f/1.7, 1.4µm and 1/2.55”, respectively. It uses new SuperPixel camera technology for clearer images at night or in low-light environments and offers 2.5-times greater light sensitivity than the Apple iPhone 7 Plus." "On average, 3.6 eV is required for each free signal electron emitted from the silicon atom after absorption of an X-ray photon , with variance as per the Fano factor. The complete absorption of a 500 eV X-ray photon produces on average approximately (500 / 3.6) = 139 signal electrons, but a large number of steps are involved in this absorption." "Chronocam’s sensor technology is designed to acquire data that’s simplified and tailored for machines to use. This dramatically reduced data load should allow cars to make almost real-time decisions. Even the slightest hint of a market revolution is exciting to any inventor of a new technology. This isn’t a thrill, however, that stirs the incumbents who supply conventional image sensors. With that resistance in place, it it’s tough to convincing others to consider a path they’ve never taken before. Talking them into embracing it, joining the revolution and building “an eco-system” is not a job for the fainthearted. Chronocam’s CEO Verre, however, is undeterred. He cited three key advantages Chronocam’s event-driven sensor can provide. “We generate much less data, we enable faster reaction time, and we operate at a much wider dynamic range,” he explained. Chronocam’s market positioning, however, has shifted significantly in one respect. 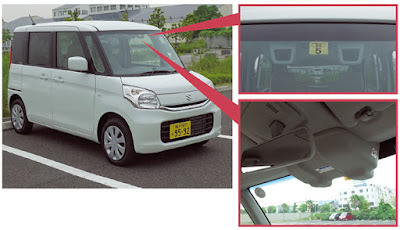 Chronocam now believes, in entering the ADAS/autonomous car market, it doesn’t need to chart a collision course with an entire community of incumbent CMOS image sensor suppliers. Different from what we heard from the startup a year ago, Chronocam today is pitching its technology as one of the several different sensors to be added to ADAS/autonomous cars for safety." Analog Devices quietly unveils the ADIS1700x, "an embedded vision sensing module engineered for a full range of emerging real-time, smart city and smart building applications, such as parking, traffic monitoring, and municipal light control. The ADIS1700x brings both advanced imaging and intelligence to the edge. The log imager enables clear, accurate imaging in both extreme brightness and darkness. It also generates output contrast at the pixel level, greatly reducing processing load. This allows for on-board algorithms that can deliver at-the-node analytics, so it’s possible to accurately and reliably distinguish between different objects, such as people and vehicles." Apparently, the new camera is a result of acquisition of Swiss startup Snap Sensor a year ago. "As the penetration rate of ADAS rises, the camera market will likely grow rapidly. According to IHS Automotive, the annual global shipment of vehicle camera system will likely reach 74mn units in 2021E (vs. c.15mn units in 2014). China’s camera lens producers are leading in the global market. According to Zhiyan.org, China’s vehicle camera industry logged output of c.8.62mn, 60% of which are exported. Under a conservative scenario, assuming an ADAS system uses four cameras (actually 1-10 cameras can be used in an ADAS system), China’s annual shipment of vehicle camera will likely reach 100mn units by 2020E, implying a market size of over Rmb12bn and CAGR of over 70%." "Camera module: China’s camera lens producers are leading in the global market. Optical lens are widely used in cell phone, vehicle cameras, and cameras. As the growth of cell phone and other digital products decelerates, camera lens producers are increasingly focusing on vehicle cameras. China’s camera lens producers are leading in the global market. For example, Sunny Optical Technology boasts the largest global shipment of vehicle rear-view cameras, with a market share of c. 30% and in cooperation with major auto manufacturers such as BMW, Benz, and Audi. In our view, the vehicle camera business will likely boost earnings of leading domestic camera lens producers. Shenzhen O-Film Tech is a traditional leading producer of camera modules, with a presence in the supply chain of intelligent vehicles. O-Film Tech not only has the highest shipment of camera modules, but also has a presence in dual-camera modules ahead of its competitors. Sunny Optical has the largest global shipment in the vehicle camera lens market, with a market share of c.30%. In the market of front cameras for ADAS, which have a higher requirement for safety, Sunny Optical has a market share of over 50%." PressePortal: ams is to acquire Princeton Optronics, one of the leading providers of Vertical Cavity Surface-Emitting Lasers (VCSELs), in an all-cash transaction. The use of VCSELs is expected to gain momentum in 3D camera solutions for the Human Machine Interface (HMI). Broader adoption of 3D sensing in mobile and automotive applications could accelerate VCSEL market growth in the coming years. Princeton Optronics operates an outsourced high volume supply chain with partners in Taiwan, the U.S., and the UK. Headquartered in Princeton, NJ (USA) with a total of 37 employees, Princeton Optronics has an annual revenue run-rate of around $10M and is profitable. The transaction includes an upfront consideration of $53.3M in cash and a substantial cash earn-out consideration related to realized 2017 and 2018 revenues, with a potential maximum earn-out value of $75M. 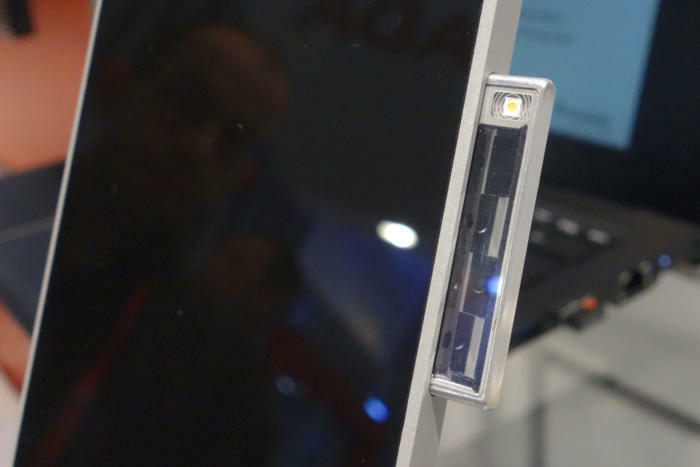 Alexander Everke, CEO of ams, commented on the transaction, "Adding the illumination source expands ams' optical sensor solutions offering, with the light path optics covered by Heptagon and the light sensor including filters by ams. Leveraging this portfolio ams can now design and manufacture the most complete and differentiated optical solutions for future growth areas like mobile 3D sensing and imaging or automotive autonomous driving. Princeton Optronics is a strategic partner to ams/Heptagon for optical sensing products already so we see a range of potential future synergies from this exciting combination." Thanks to YG for the link! BusinessWire: SMIC has executed a technology transfer and license agreement for Invensas’ Direct Bond Interconnect (DBI) technology. SMIC intends to offer this bonding technology to its image sensor manufacturing customers. Invensas is a wholly owned subsidiary of Xperi Corporation (former Tessera). SeekingAlpha: BlueFin analysts say that ST Crolles fab has returned to full operation after the minor fire incident. The delivery schedule for SPAD AF chips is not expected to deviate from the original one. Another video presents the company history starting from 1995. CIO, PCWorld: Germany-based Fraunhofer Institute presents a 3.5mm-thin smartphone camera module that removes the need for a camera bump. 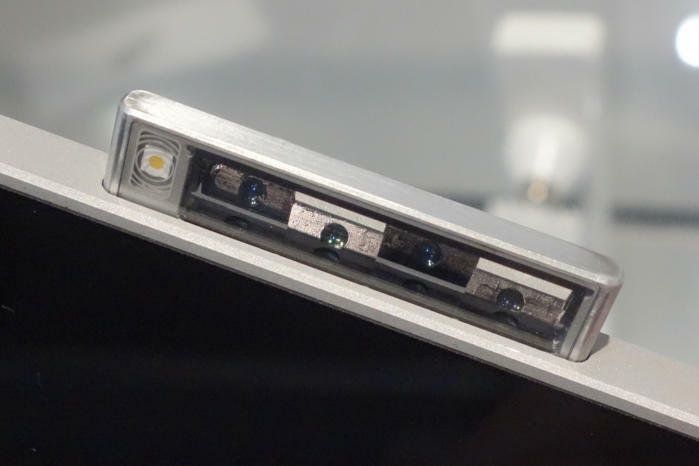 "It uses four image sensors rotated 90 degrees so they point out of the side of the phone. A set of tiny mirrors in front of the sensors reflects the image from the front or rear of the phone. The basic concept would have worked with a single mirror, said Jacques Duparré, a senior scientist at Fraunhofer's Microoptical Imaging Systems lab in Jena, Germany. But it faltered at close range, so a second mirror was added and the two images stitched together. But then stitching errors could be seen in the images, so engineers added a second set of sensors and mirrors so the phone could calculate and eliminate the errors. The mirrors simply flip around so images can be taken to the front and rear of the phone." Another video demos the fruit of ADI recent acquisition of Swiss startup Snap Sensor. This is actually a version of the previously published video with a different presenter. Reuters, Haaretz, Jerusalem Post: Intel is to buy Mobileye for $14 billion to $15 billion, at a significant premium over the NASDAQ market value of $10.5 billion. The two companies are expected to officially announce the deal in coming hours. Valeo has acquired gestigon, a German start‑up developing 3D image processing software for the vehicle cabin. Ths acquisition provides a solution to develop simple, intuitive and effective human-machine interfaces (HMI) for cabin comfort and driving assistance operations, particularly in high-growth technologies such as interior cameras and image processing. Update: Mobileye acquisition is official now: Reuters, Bloomberg. "This fab is the sole manufacturing facility for STM’s 3D sensors. This incident has currently shutdown the facility and our research indicates it could take several weeks to requalify the fab and resume production. Our understanding is that several AAPL employees are on site in Crolles presently. These 3D sensors have a long production cycle time and relatively low yield rates, which will make it difficult for STM to get back on their production schedule target with each day that the fab is incapacitated." On AR/VR market, ON Semi GS sensors are used in Facebook Oculus products, two sensors in each headset. DJI uses ON Semi image sensors in its drones. "Dense clusters of imaging players exist in various regions throughout Europe. Grenoble, France is one example where advanced technologies covering everything from x-rays to terahertz imaging are developed. Consumer imaging giants like STMicroelectronics, with its state-of-the-art, high-volume CMOS imaging fab, are also in the region. Other players focused on more specialist and industrial imaging applications like e2v, Ulis/Sofradir, Trixell/Thales TED, and innovation centres like CEA-Leti, also form what has become known as ‘the Imaging Valley’. This breeds a rich ecosystem for start-ups like Isorg, which are innovating in the field of organic image sensors. Similar ecosystems exist in Belgium with ex-Fill Factory spin-offs like Cypress Imaging (now On Semiconductor) Cmosis, and Caeleste, among others, with research centres like Imec developing advanced process technology for hyperspectral imaging, for example. The German Fraunhofer institute innovates in 2D and 3D imaging for diverse applications. One of the major factors driving image sensor development in Europe comes from funded programmes for applied imaging, enabling collaborators to bring concepts to market. ...A challenging request from camera and vision system customers serving the industrial markets is to reduce product price points. This is largely thanks to the emergence of new and aggressively priced competitors in a still fairly fragmented market." Japanese Journal of Applied Physics publishes an open-access Sony paper "Noise reduction effect and analysis through serial multiple sampling in a CMOS image sensor with floating diffusion boost-driving" by Hayato Wakabayashi, Keiji Yamaguchi, and Yuuki Yamagata. Part of the material has been already published in other papers in the recent years. "We have developed a 1/2.3-in. 10.3 mega pixel back-illuminated CMOS image sensor utilizing serial multiple sampling. This sensor achieves an RMS random noise of 1.3e- and row temporal noise (RTN) of 0.19e-. Serial multiple sampling is realized with a column inline averaging technique without the need for additional processing circuitry. Pixel readout is accomplished utilizing a 4-shared-pixel floating diffusion (FD) boost-driving architecture. RTN caused by column parallel readout was analyzed considering the transfer function at the system level and the developed model was verified by measurement data taken at each sampling time. This model demonstrates the RTN improvement of 1.6 dB in a parallel multiple readout architecture."